Decals by Design was founded in 1993 to meet the growing need for manufacturing and installing high-quality graphic messages to vehicles. The company has grown by working with customers in providing start-to-end graphic solutions that meet their specific needs. From small business owners with one vehicle and limited graphic resources to municipalities and 100-plus trailer fleet owners utilizing sophisticated designs, our experts make the process of manufacturing and applying transit graphics fast and easy. We utilize the highest quality materials and production processes including: Computer and Die Cut Vinyl, UV ink screen printing, large format digital printing and high speed in-line printing. If you can imagine it, we can make it and apply it to your vehicle. 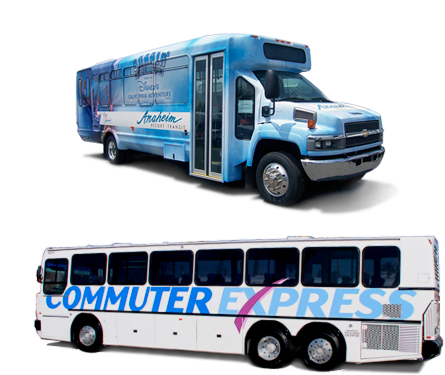 We offer fleet and transit graphic solutions in any size from full-wrap and partial-wrap to spot graphics.